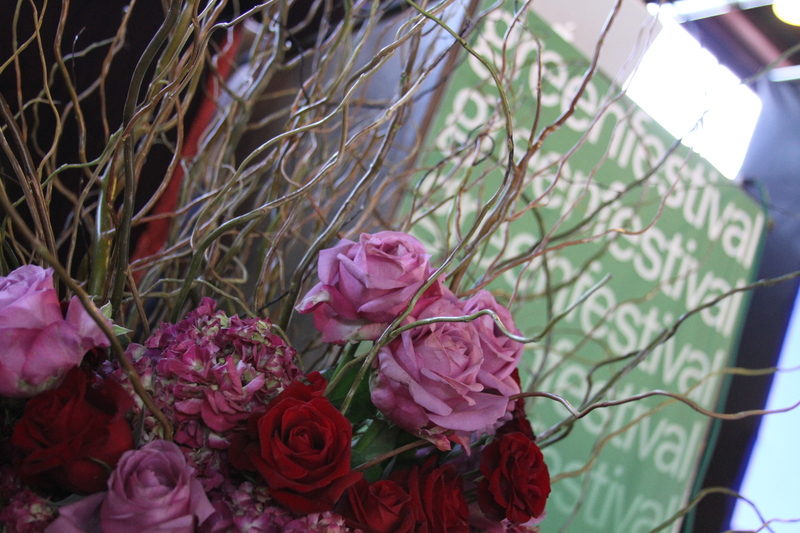 For the Green Festival this past weekend in San Francisco, I (Gorgeous and Green Events) donated some large arrangements for their speaker stages. 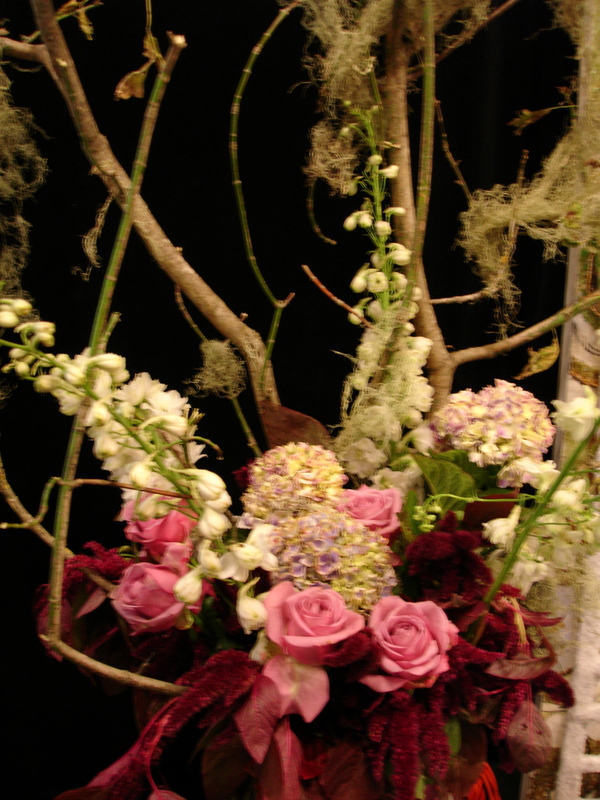 I used all locally grown flowers and branches, glass vases and no floral foam. I also did the deliveries in our recycled bio-diesel wagon. I think the pieces were enjoyed by the crowds because when I came back to pick up (and reuse) the vases, people were asking to take the flowers home to reuse as decor in their homes. 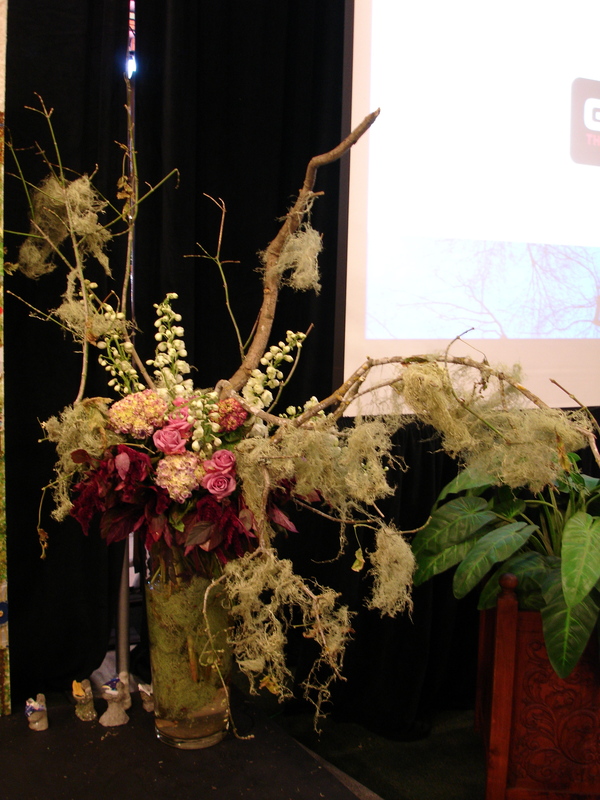 Here are two large arrangements that were about 6 feet tall. 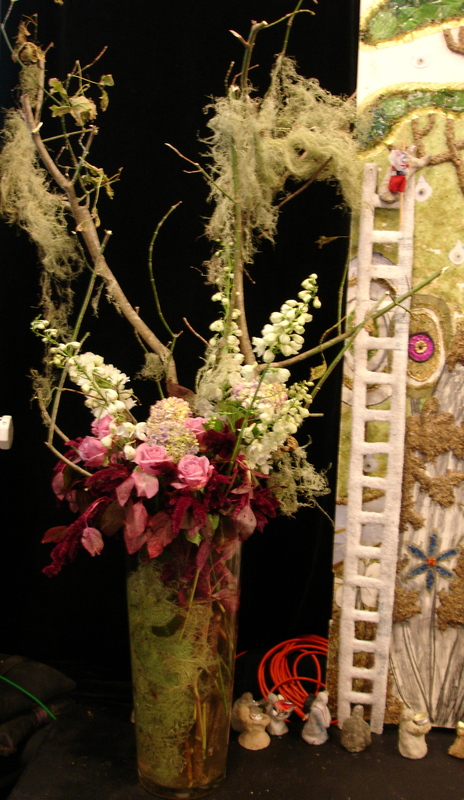 I loved the lichen growing on the branches.